Chord Clearway Digital follows on from the incredible success of Chord’s ground-breaking Clearway speaker cable and brings the same award-winning experience and engineering to digital devices. Clearway digital features Chord's latest tuned ARAY technology and takes design cues from the company’s extraordinarily revealing flagship Sarum Super ARAY Digital to produce a much less expensive interconnect with an exceptionally transparent and coherent performance. Clearway Digital uses an oxygen-free copper conductor combined with gas-foamed polyethylene insulation and woven copper shield. 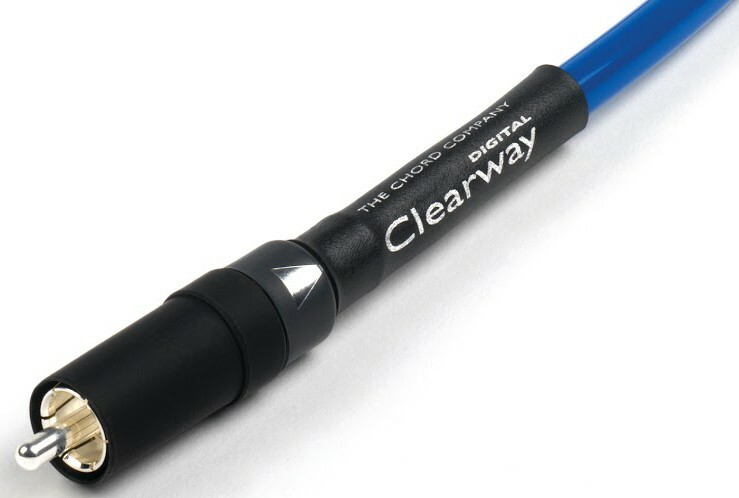 Clearway Digital refines 30 years of Chord Company know-how into a highly affordable interconnect for the digital age; it replaces the company’s popular Prodac VEE3 digital cable. 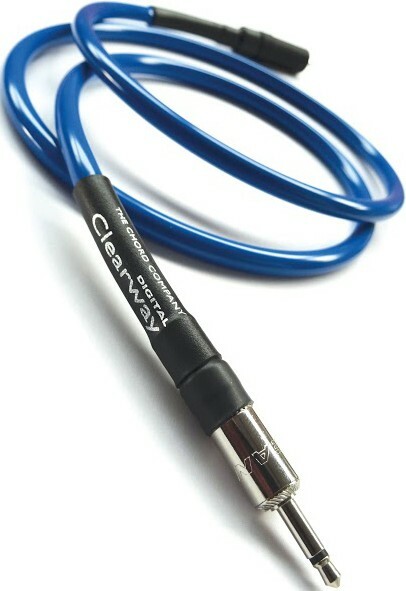 Available in a wide range of terminations, including a 3.5mm mono jack for today’s high-performance portable devices, Clearway Digital was conceived to deliver no-compromise digital audio, to and from a wide range of audio products. 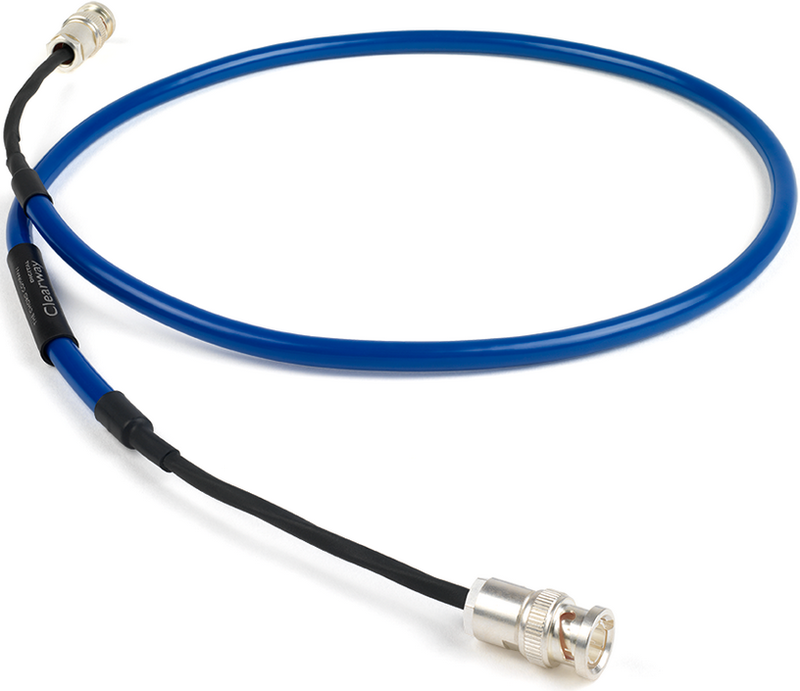 Standard terminations include Chord’s high-performance direct silver-plated VEE 3 RCA plugs as well as silver-plated BNC plugs. The Chord Company has also recognised the increasing importance of high-performance portable DACs and is offering Clearway Digital terminated with a 3.5mm mono jack. This configuration allows owners of DACs or devices equipped with a 3.5mm coaxial socket to experience the levels of clarity, detail and musical coherence inherent in digital Tuned ARAY cables. Why use such a good cable? DACs are making enormous strides in performance and affordability. Chord is thrilled to introduce its ARAY technology, first developed for the Sarum Digital cable, to the Clearway Digital. Clearway Digital is an extremely affordable way to experience the exceptional coherence with which digital ARAY cables carry a musical signal. Right now, the musical experience that very affordable DACs are able to produce is quite extraordinary and to some extent, it produces challenges when it comes to recommending cables to fully exploit their performance. Many contemporary DACs truly deserve far better cables than they are typically used with. The Clearway Digital is an affordable solution to a truly coherent and involving musical experience. The technology is unique and so is the performance. 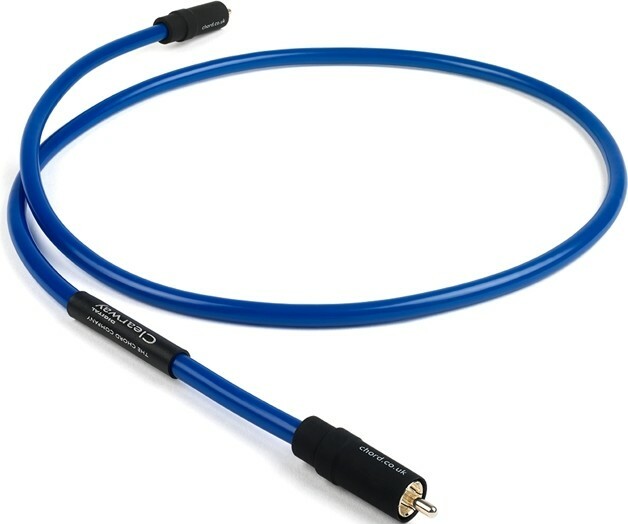 This is a cable that anybody with a DAC should investigate and listen to.